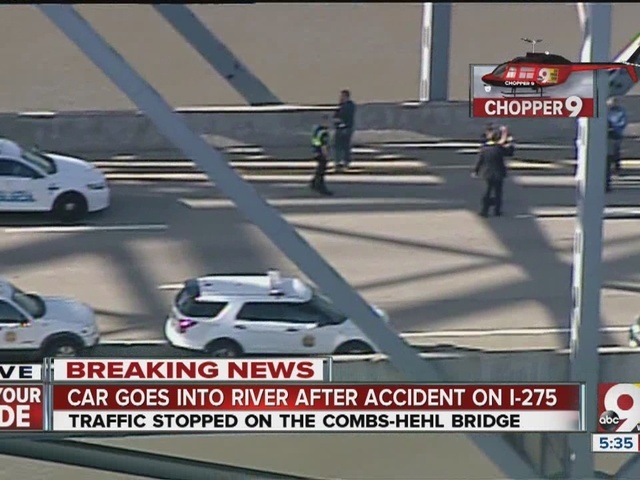 NEWPORT, Ky. - Rescue boats are on the scene in Cincinnati after a car fell off an expressway bridge and into the Ohio River on Tuesday afternoon. There is no report on the number of occupants in the car or how it fell off the bridge. 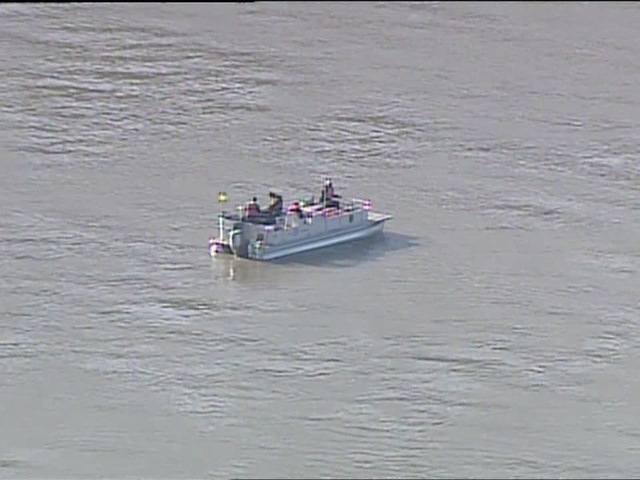 Three boats have been circling under the bridge and now have expanded the search downriver. Scripps station WCPO has this exclusive bird's-eye view from Chopper 9. A crash happened on the north end of the Ohio-bound lanes, but it's not clear if the car was involved in the crash. A smashed-up semi and at least two crashed cars can be seen on the bridge with people - apparently their drivers - standing nearby. A fire truck is also on the bridge. There is a major traffic backup on I-275, Cincinnati's bypass freeway.